Connector Type : 3.5mm Male to 2 RCA Male Cable Cable Length : 1.5 Meter DESCRIPTION : This cable set maximizes signal transfer for optimum sound. The 2-Male RCA connectors are meant for stereo receivers or speakers – Not compatible with Life proof cases Plug-&-play: Using existing cables, connect a Smartphone, MP3 player or tablet to the 3.5mm Female connector, & then connect the 2-Male RCA connectors to a stereo receiver. This cable has a Stereo (1) 3.5mm male connector and goes to (2) RCA male plugs. You can connect a portable CD player or computer system to your home stereo or TV with this cableShare your music or your audio presentations with others. Fully molded and shielded to prevent EMI/RFI interference. 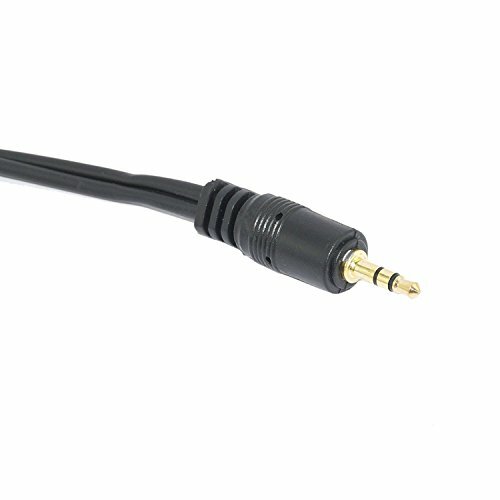 3.5mm/MP3 to RCA Audio cable is constructed with premium quality Metal Connectors : Gold plated 3.5mm and RCA Audio Plugs. 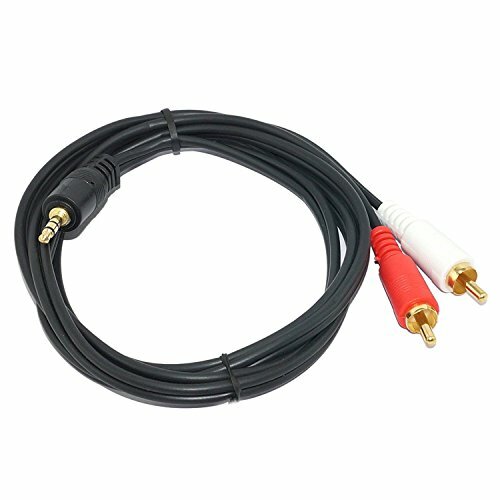 BI-DIRECTIONAL Cable functions to connect a DVD player, TV, Wii box, video camera, VCR, or other equipment with legacy RCA connectors to speakers or AV receivers with a 3.5mm stereo mini-jack for audio only. 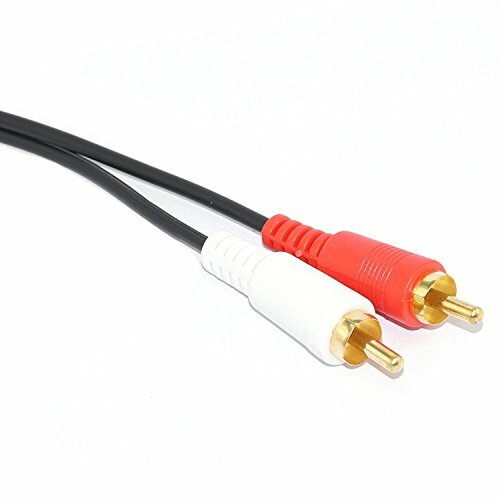 Audio cable connects an iPhone/iPad, MP3 player, smartphone or laptop with the common 3.5mm audio port to a TV, AV receiver, amplifier, projector, radio and more with adjacent RCA connectors.